The passing of former First Lady Nancy Reagan brings back memories of Ronald Reagan’s transformative presidency and her role in it. Some argued that she played an important part in managing the president and his staff as she single-mindedly pursued her goal of protecting President Reagan. 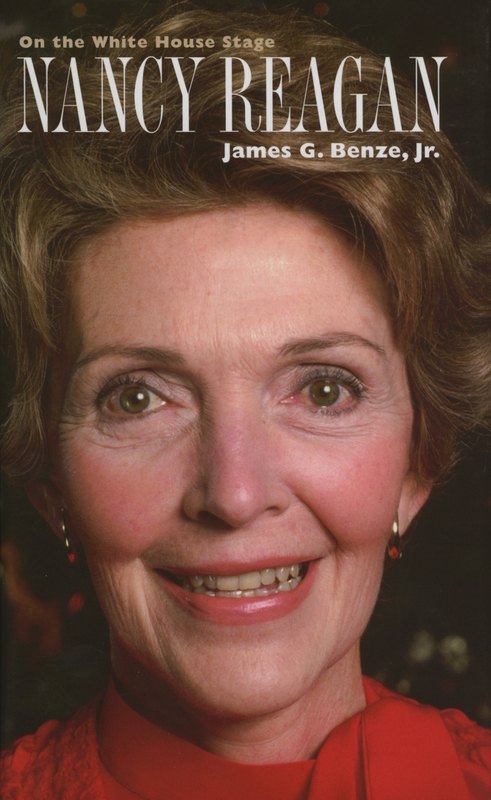 She denied that she was some sort of “power behind the throne.” James G. Benze, Jr. authored, “Nancy Reagan: On the White House Stage” for UPK’s series on American First Ladies. In that book, which focused on her years in the White House, Benze portrays her as a forceful presence who was unafraid to take on powerful figures like Oliver North and Don Regan if she thought they were not serving the interests of the president. He shows how Nancy Reagan played the consummate supporting actor to Ronald Reagan and was a key figure in advising him on administration appointments and on policy issues during the eight years he was president. The book also follows Mrs. Reagan as she continued to care for the former president as he suffered from Alzheimer’s disease. This book, like others in the series, shows how Nancy Reagan took the unscripted part of first lady and found her own way to have an impact on the nation.